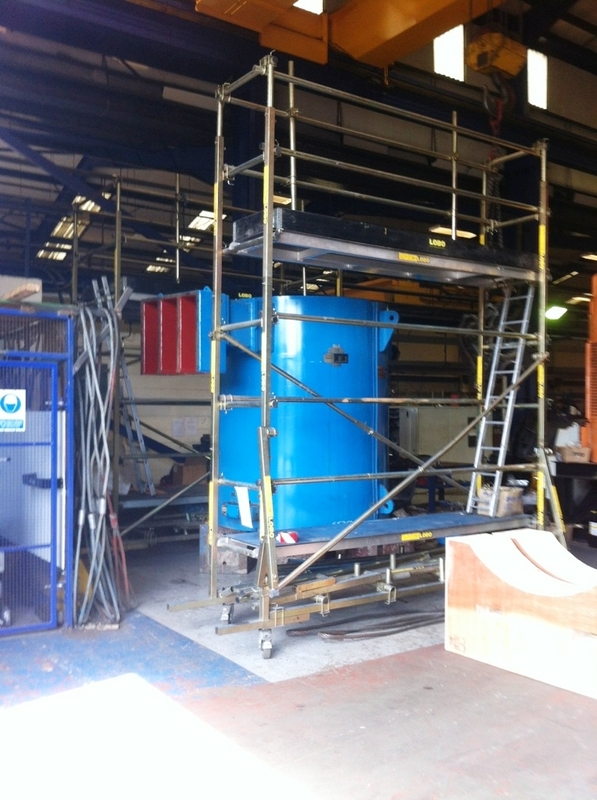 Manufacturing traditionally uses bespoke wooden or welded metal fixed frame systems for safe working at height. As they cannot be adjusted they do not meet the changing requirements of these industries. In addition, when not in use, they take up a lot of space and cannot be easily transported around the plant. Plant maintenance requires regular access to elevated areas, which is often awkward and therefore difficult to reach, each task being different from the last. Working at height must be accomplished safely and, traditionally, outsourced scaffolding companies and fixed aluminium tower systems have been deployed. 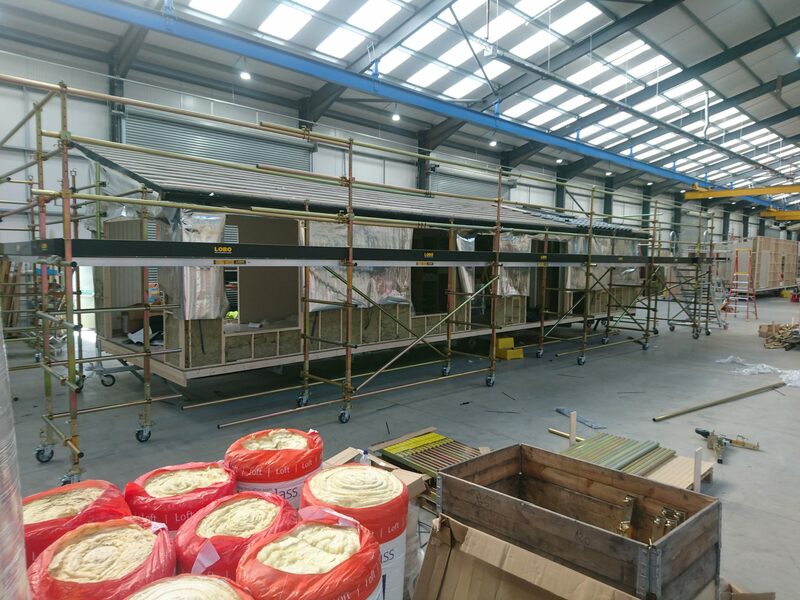 Outsourced scaffolding labour is expensive and not available 24 x 7 and aluminium frame systems are cumbersome, inflexible, difficult to transport and will not adjust to fit into awkward areas. The LOBO Advance Scaffold System, utilizing its unique patented clamp, can be reconfigured and adjusted without the need for tools into any shape or size required. This simple access system can be assembled by anyone, as the components are modular and LOBO has a no tools assembly concept. 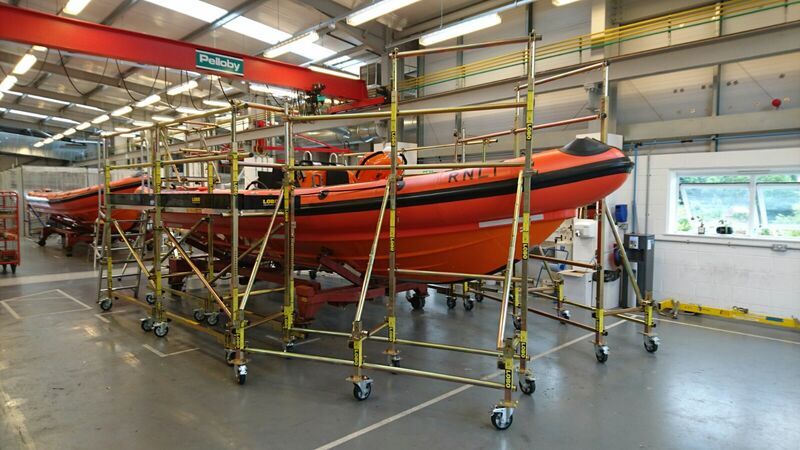 LOBO’s steel scaffold legs and components can be flat packed when not in use and transported easily for storage or utilisation elsewhere. The LOBO System can be assembled quickly, easily and safely around, under and above machinery or conveyors – by your own in-house maintenance crew. “Scaffolding for Non Scaffolders ” This means outsourced scaffolding labour costs can be reduced or completely removed without comprising safety. Areas previously considered difficult to get to can now be accessed with ease for production, manufacturing, maintenance and cleaning purposes. In addition, it is available 24/7 and so puts you in control of what and when you schedule your maintenance tasks. a) LOBO scafolding is scalable, adaptable and adjustable to meet your ongoing and changing requirements. Simply add more components or alter your existing configuration to satisfy the demands of the next task. Protect your initial investment with a product that will meet all your access needs safely! b) LOBO access is a rigid and stable product, which meets or exceeds current safety regulations. Handrails can be fitted in seconds at any point in the erection process. d) LOBO’s advanced work paltform modular approach means components fully integrate and can be hand carried. Fully constructed systems can also be made mobile by the addition of wheels. Experience shows that deploying the LOBO System reduces the costs associated with hiring scaffolding and constructing bespoke access systems. By reducing your reliance on outsourced scaffolding and engineering companies, cost savings will be achieved – easily within a 12-month period! LOBO Systems always recommends full product training to all users to ensure competency. Heatric, Ultra Electronics, ACE Winches, Rolls-Royce Power Generation.